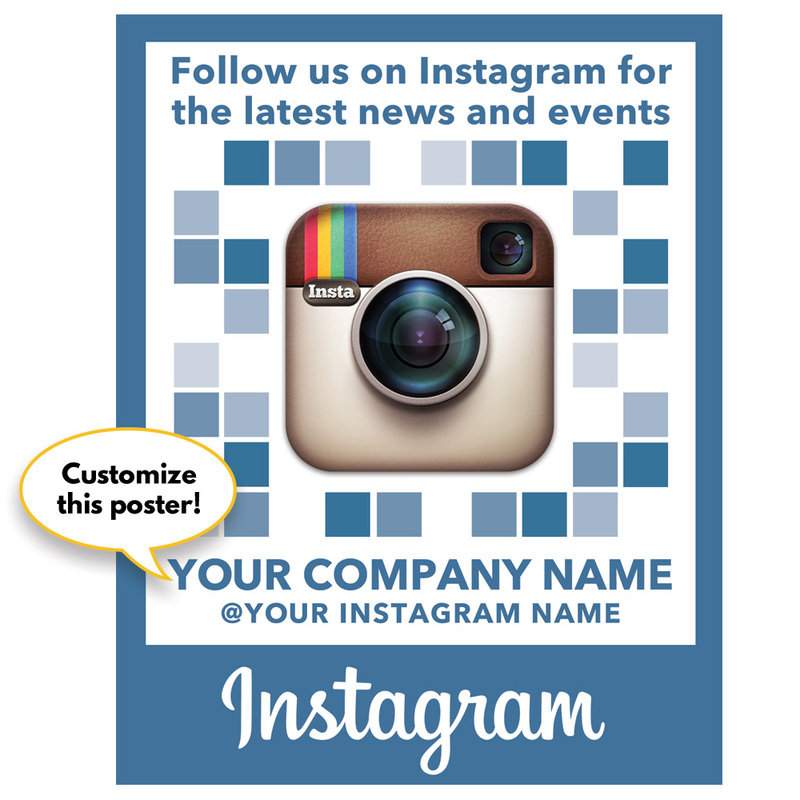 Direct customers to your Instagram page with this budget friendly sign. Premium non-tear posters are reusable and easily fit our poster holders or can be hung on your wall or in your window. 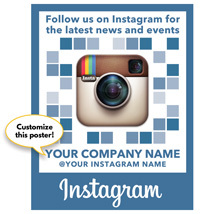 Simply provide us with your web address and we will customize this sign for your company. Poster holder sold separately, search item 4413.